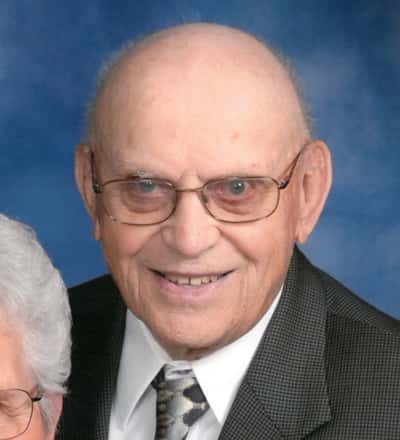 Donald Lensing age 93 of Wabasso passed away on Friday, March 8, 2019 at his home surrounded by family. Mass of Christian Burial will be held at 11:00 a.m. Wednesday at St. Anne’s Catholic Church in Wabasso. Visitation will be held from 9:00 – 11:00 am Wednesday at the church. Interment is in St. Anne’s Catholic Cemetery. Online condolences may be sent at www.stephensfuneralservice.com. Stephens Funeral Service – Redwood Valley Funeral Home is assisting the family with arrangements. Donald Lensing was born June 20, 1925 on the family farm near Wabasso to August & Agnes (Fangman) Lensing. He was baptized June 27, 1925, and confirmed in 1937 both at St. Anne’s. He attended St. Anne’s Catholic School and Wabasso Public High School. Donald was drafted into the US Army in 1944 and served in Europe and later in the Philippines during WWII. After receiving his Honorable Discharge in 1946, he returned home to Wabasso to farm. On February 5, 1951, Donald was united in marriage to Jane Fischer at St. Anne’s Catholic Church. Together they moved to the farm east of Wabasso where they lived for 55 years before moving into Wabasso in 2006. He especially enjoyed his trip to Washington DC with the Midwest Honor Flight in 2010. 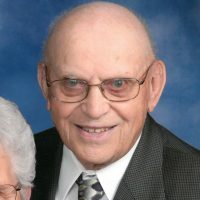 Donald was a lifetime member of St. Anne’s Catholic Church where he was active in the Catholic Order of Foresters, and Catholic United Financial. He received the Bishops Medal for Service and St. Anne’s Volunteer Award. He was also a member of the Wabasso Lions and the American Legion for 66 years. Donald enjoyed woodworking, fishing and golf. And he loved spending time with his family and friends. Donald is survived by his wife Jane of 68 years; children: Jerome (Jeri) of Rochester, Chris (Bruce) Rohlik of Vesta, Dave (Wendy) of Humboldt, IA, John of Farmington, Karen (Jim) Schneider of Sioux Falls, SD, Marilyn (Carl) Rydberg of Lakeville & Lori Lensing of Fort Dodge, IA; grandchildren: Nick Lensing, Elizabeth Davis, Kathryn Massaro, Sara Burns, Stacy Nottestad, Aaron Rohlik, April Beyer, Nathan and Jacob Rohlik, Ryan Lensing, Jeremy and Chris Michael, Bridget Lensing, Megan, Zach and Jason Schneider & Stephen, Ben and Abby Rydberg; 26 great grandchildren; sister Cyrilla MacDonald of Wabasso; and many other relatives and friends. He is preceded in death by his parents, siblings: Margaret (Ed) Fischer, Marcella (Lawrence) Plaetz, and Cyril (Mary) Lensing & brother in law John MacDonald.